I sometimes write affiliate posts (hey, a girl's got to make a living) and this is one of those. It doesn't cost you anything extra! Read what all this means here. 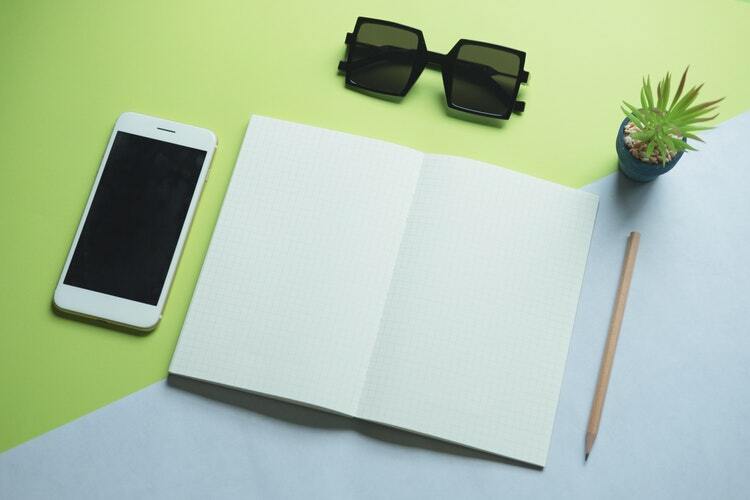 A good notebook should be the right size for what you need to write down, right then. 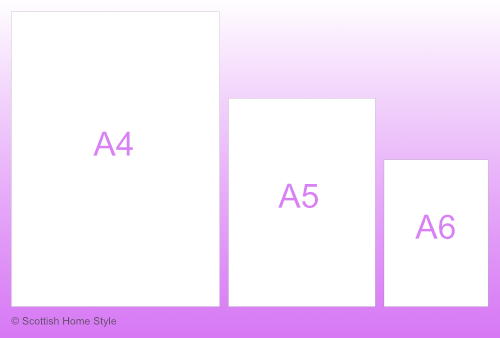 To help you visualise the sizing, here is a chart with a comparison to A4. It's not to scale, but you should get a good idea. A5 is about half an A4 in area, as if you folded a sheet of A4 in half, and A6 about half that again. So without further ado, here is my curated list of the best Scottish notebook makers that can be found on Etsy! Buy the A6 Notebook from Doodler Delights now on Etsy. Do you know someone who can be described as "sassy"? I do. And I think this would make a perfect gift for her. This A5 notebook is lined and quite thin and light, making it cheaper on the postage costs. It is hand made, and although you can't see it as clearly in this pic, the background colour is a pale lilac. 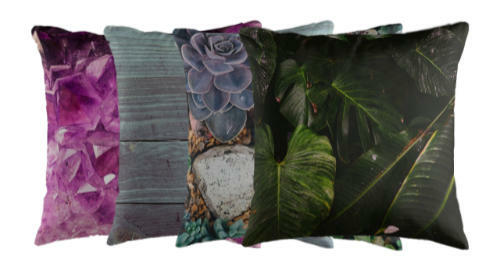 The materials include recycled cardboard, so you can feel good about this purchase. The cheekiness of this comes from an original humorous peach painting by Sophicillos, and it features "large and in charge" in her shop of quirky art products. 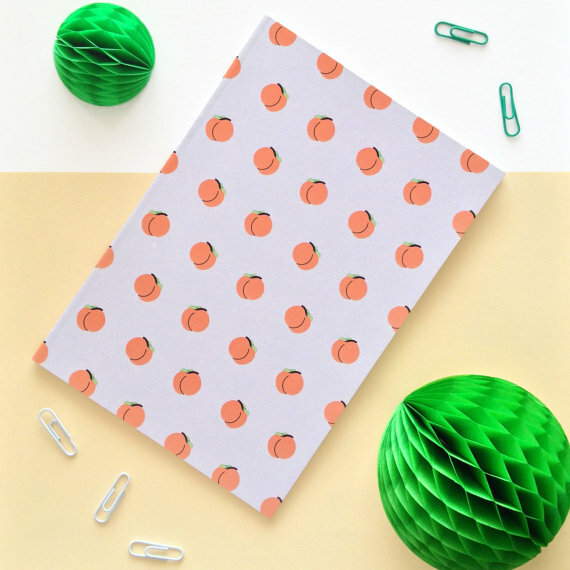 Buy the Sassy Peach A5 notebook by Sophiecillos now on Etsy. Handmade, handbound, and made from recycled material in Glasgow, this unlined A5 notebook is bound "Japanese style" - that means the strings show on the outside in a decorative flourish. The maker includes an intriguing promise of "interesting stories in between the the inner folds" which I have no idea what it means but I'm fascinated! 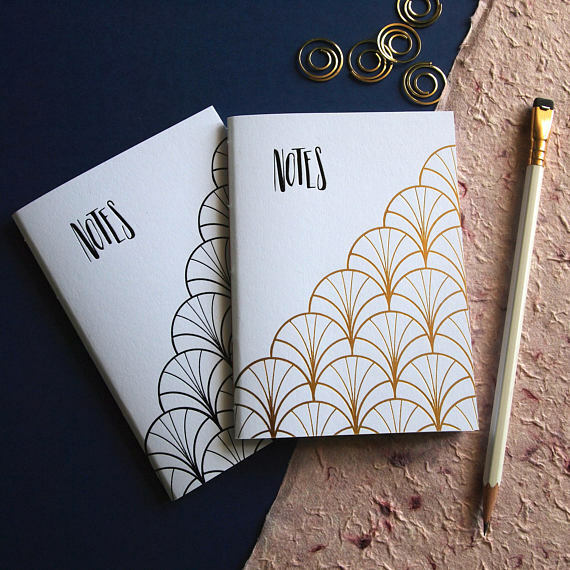 As a notebook, it's perhaps more workmanlike than the showoffs above, but you can revel in the warm glow of using a very environmentally friendly product! Would make a great present for the social justice warrior in your life. Buy the A5 Zero Waste Japanese Bind Notebook by The Earth Wants You Back now on Etsy. I'm a sucker for anything shiny. Like a magpie, or a mermaid! 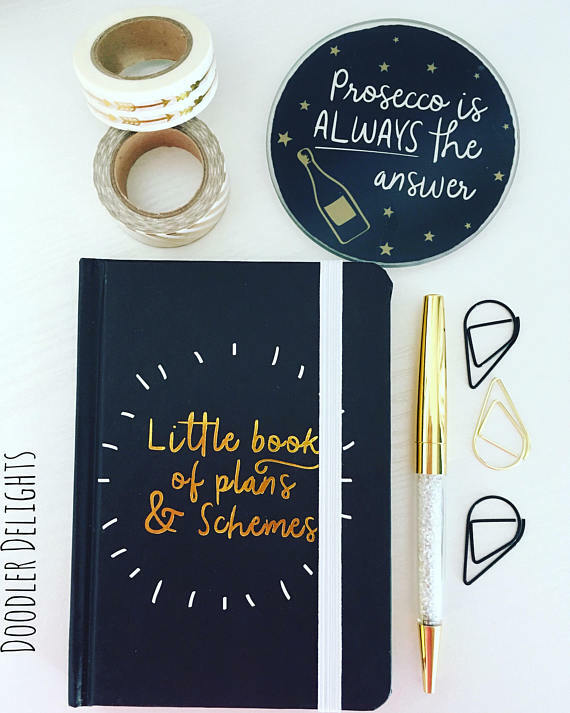 This sheeny, pearlescent notebook by Charlie's Magpie certainly fills the bill, and it has another colourful part - the surprise rainbow glitter pockets on the inside of the cover! Keeping receipts tidy has never been so charming! Tip the cover and see different colours in different lights. From lavender with a hint of rose gold, to silvery magenta and shades between, the seller describes it as a mermaid's tail, but it could equally be the hide of a particularly fabulous and well-moisturised dragon! A golden elastic girdle ties it all together - quite literally. The only shame is that this is just the cover. No notebook is included, but this means you can transfer in a planner of your own and use it as a journal. Comes in several different sizes. Check out more shiny and glittery things at Charlie's Magpie. Buy the Fuchsia Mermaid Notebook Cover by Charlie's Magpie now on Etsy. I had to include thes sweet and petite penguin notebook as a bonus. Adorable little guys parade on this lined, A5, slim jotter. It's a perfect gift for the penguin fanatic, and would go well in a bag for those last minute notes. Also comes in a blue design with more gorgeous penguins on an icefloe. Drop Scone Designs also do cards, wedding stationery and some sassy clothing. Support Scottish makers! 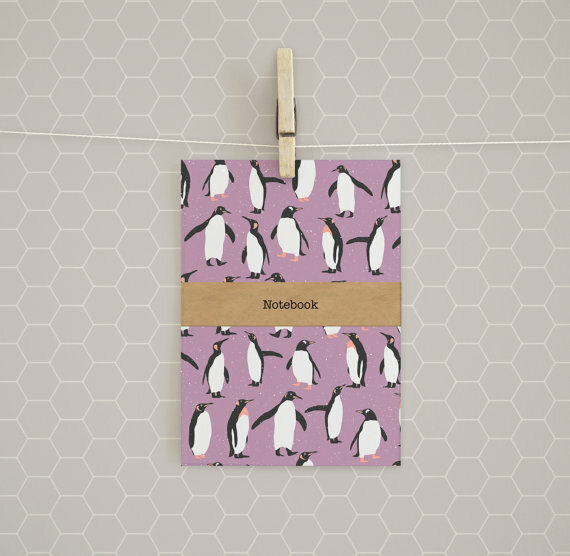 Buy the Penguin A5 Notebook by Drop Scone Designs now on Etsy. Blazing Rebel don't exactly live up to their name - they specialise in cool and chic minimalism, not rough and ready stuff! But they do have some delicious vintage-inspired stationery in their Etsy shop. 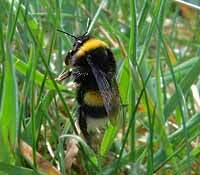 This is just one example. The Great Gatsby would have appreciated the Art Deco lines of this hand-pressed metallic gold and gloss black foil overlaying a cool white background. At A6, they're pocket-sized and would fit alongside a white smartphone nicely, I think. The books are unlined, perfect for the dreamer who thinks in pictures as much as words. 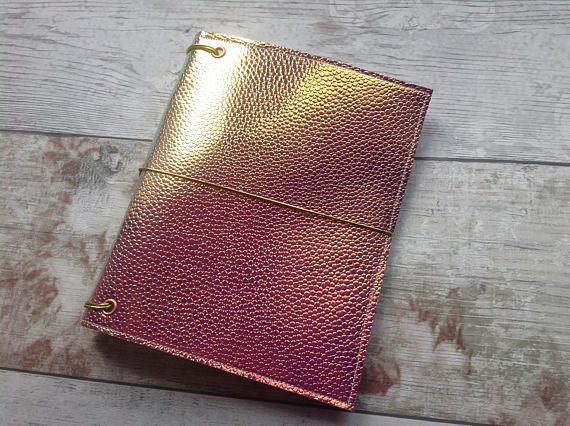 Buy the Pair of Luxury A6 Unlined Notebooks by Blazing Rebel now on Etsy. This dotted notebook is perfect for bullet journaling, sketching, or just notes. Aimed at the record lover, this is just one of many music-themed products by Lola Polooza Designs. So if you know someone who loves those sick beats, this could be the perfect gift. Ideal for people of any gender, as long as they love the vinyl. If you can picture them hanging out at King Tut's Wah Wah Hut, then yes, go for it! 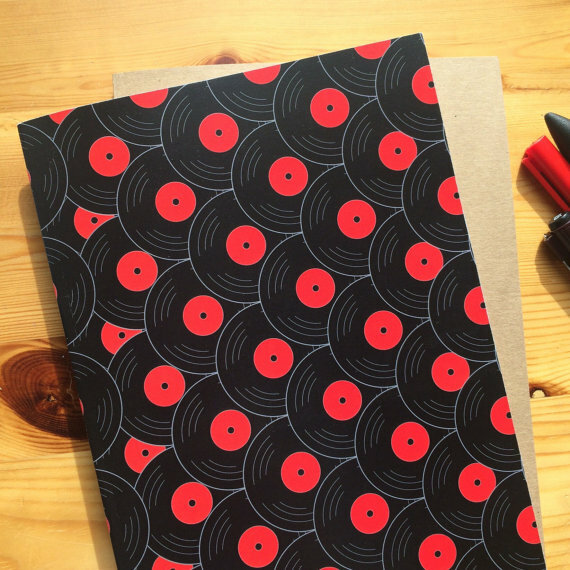 Buy the Records Print, Music Theme A5 Journal now on Etsy. Taking a breath of sweet Scandi inspiration, this to do list is pointedly minimalist. 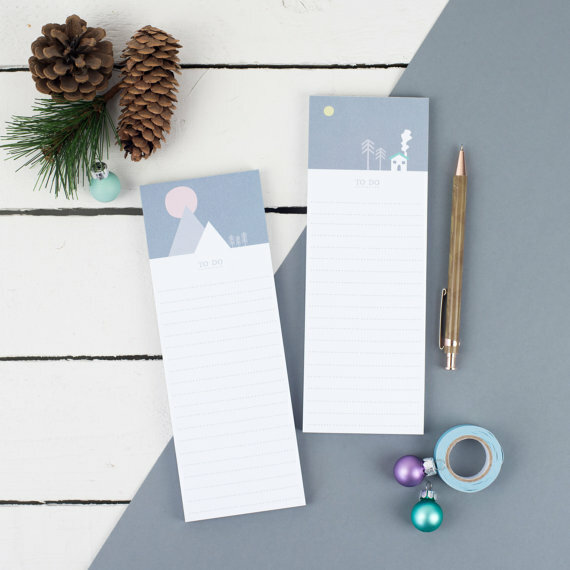 With two clean graphic designs to choose from, this memo pad has a magnetic back, perfect for the fridge shopping list. 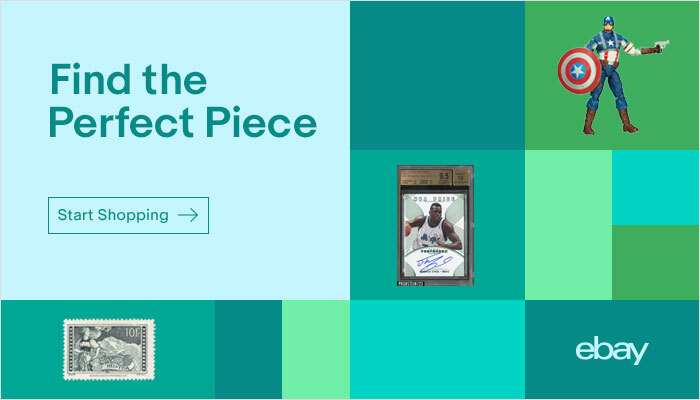 If you are a serial lister, this is also great for keeping those "must-do" items in order. Check out Zoe Brennan Cards for more original designs in cards and notebooks. 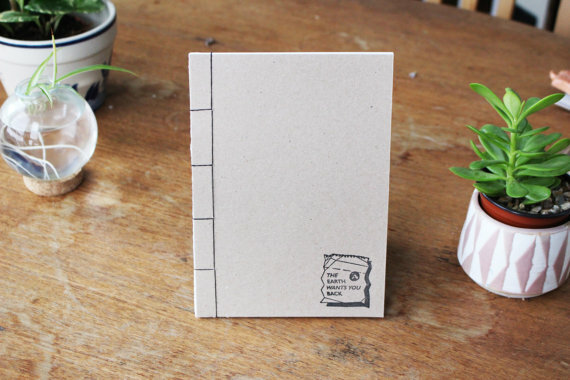 Buy the Scandinavian Inspired To Do List now on Etsy. That's it for now, but I'll be back with more stationery addiction soon!